The Ur-vampire story. Everything classical vampires are comes from this movie. While the movie is based on a book, the movie has more range and probably took some liberties. I’m not sure I’ve ever directly experienced Dracula played straight, not in parody or playing off the legend as “another monster/baddie”. By pop culture osmosis, I think I have a basic understanding of the plot, but there could be something new to me here. This movie made Bela Lugosi and Dracula inseparable. I’ll definitely be looking out for how much of that is from the performance and how much from the popularity of the whole film. A young solicitor named Renfield arrives in Transylvania to do business with Count Dracula, whom the locals fear to be a vampire. Dracula plans to lease Carfax Abbey in London, leaving the following night on a chartered ship. Once the ship arrives in England, Renfield is found to be the only living man on board, now raving mad and obsessed with eating insects, as well as a slave of the Count. He is committed to the sanitarium bordering Dracula’s new estate, where the sanitarium director Dr. Seward and his daughter Mina live. As a series of inexplicable blood-loss deaths plague London, Professor Van Helsing begins to believe the cause is of undead origin, and Dracula’s attentions turn to Mina, sleeping in the same house where his servant is held. While this was an adaptation of a stageplay adaptation of the book, it didn’t feel like a play in the way most adaptations of plays do. I never got a sense of being more limited in locations or actions than any other movie. It’s actually got a fairly broad reach for movies of its time, and never sits in one place too long. Even the cinematography stays active. 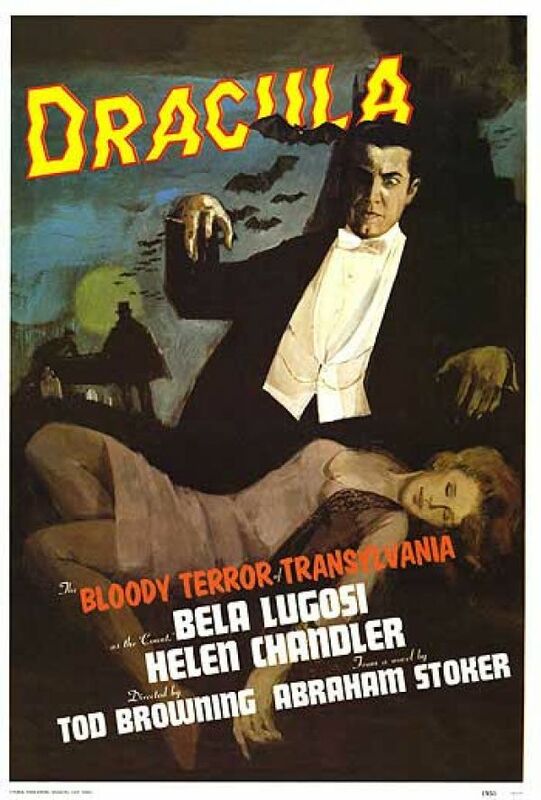 Early on, Bela Lugosi seems to be there to be camp levels of creepy and bug out his eyes, but as the film progresses, Dracula assumes a more seriously sinister attitude. He’s more threatening in the many scenes where he’s silent, but his confrontations with Van Helsing are also commanding. However, the real standout to me was Dwight Frye’s Renfield. He’s manic, mercurial, and clearly tortured by the evil he’s been forced to serve. When he’s on screen it’s usually going to be a compelling scene. Occasionally the movie doesn’t convey as much story information as I want. I don’t think it’s mentioned why Dracula is moving to England, he just does. My guess is because the Transylvanians are too guarded against him, but that’s not directly stated. I’m also unclear on if Dracula made Renfield a vampire or not. I assumed he had, since he descends upon him like all the other victims and the next we see him, he’s wretchedly devoted to the Count and eating insects and rats to consume their blood, but he’s also active in the daytime and never transforms as Dracula does, so it could entirely be madness. Additionally, Harker just feels useless. He’s skeptical and obstructive until he sees the truth for himself and then assists Van Helsing, but he’s entirely defined by his engagement to Mina and by not knowing anything. This film was far more gripping than I expected of a movie from the early 30s. I was never frightened, but I was captivated by the creepy atmosphere and nuanced interplay. The performances are a bit stilted, but they fit the tone of the film and once events get going, enhance it. There’s enough element of humanity underneath that it still feels believable. This is what scary movies should be.